Acer opts for the same screen diagonal of 11.6-inches that Sony uses for its Vaio Duo 11 SV-D1121X9EB ultrabook. This may look small in a laptop but it is big for a tablet. However, while Sony's ultrabook clearly belongs to the ultra-portable laptops, Acer's Iconia W700-53334G12as has to be seen as a tablet in view of its size. Therefore it can be compared with Samsung's Series 7 XE700T1A-H01DE slate tablet although it is still based on Sandy Bridge. Thus, Acer's W700 attacks on all fronts. 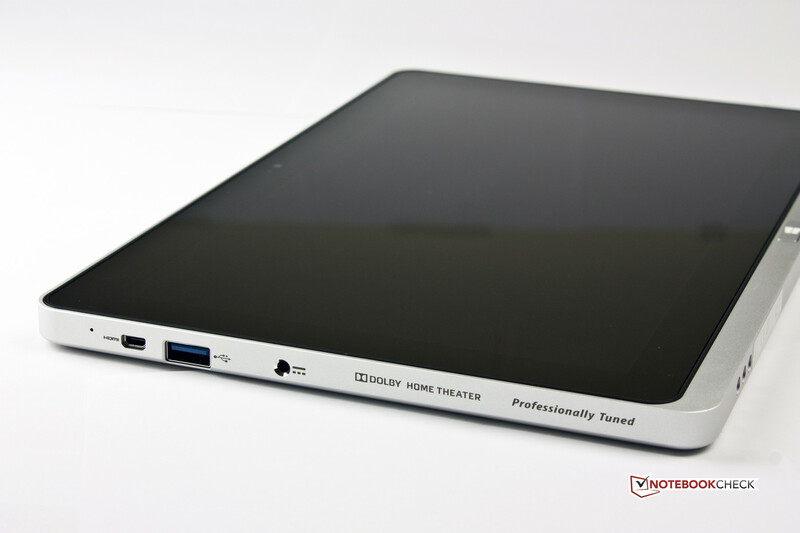 Its tablet design aims at the competition from Apple and Android, but it is also a portable computer with a full-fledged Windows 8 operating system at the same time. 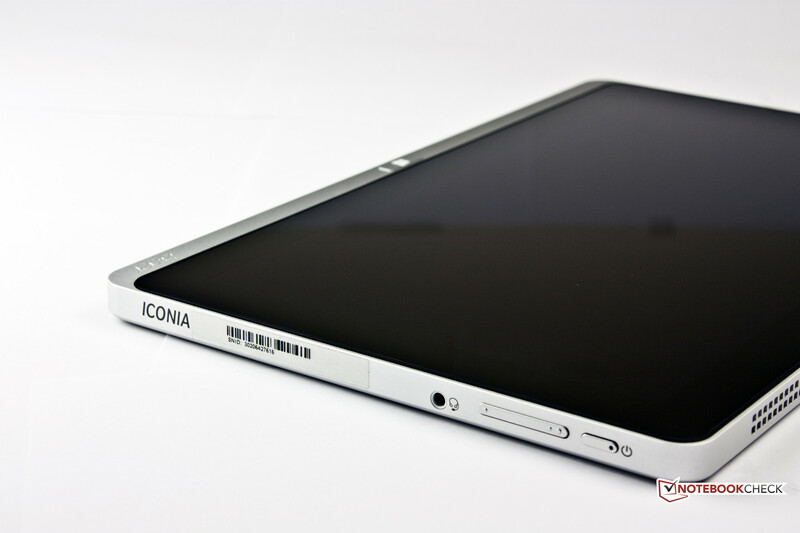 The Iconia also tackles the market of ultra-portable laptops with its installed Intel Core i5-3337U. We'll see whether this balancing act will work. 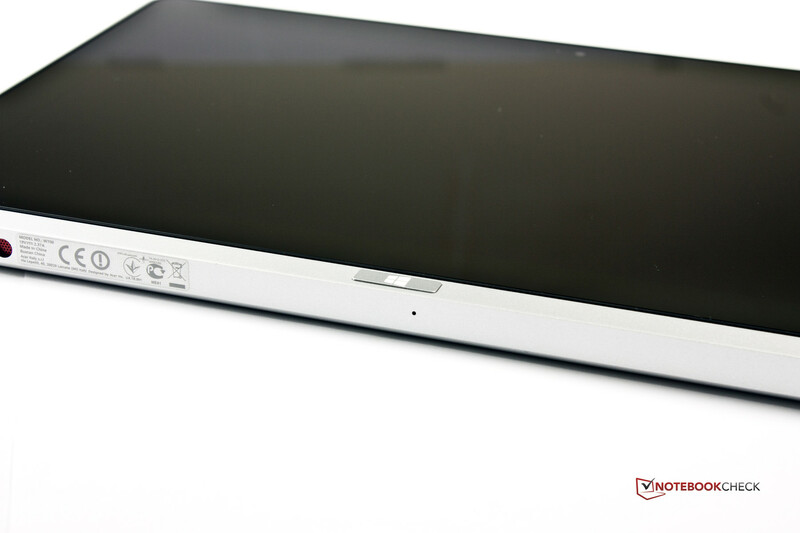 With a height of only 12 mm, Acer's Iconia W700 is marginally thinner than Samsung's Series 7 XE700T1A-H01DE tablet. The silver-colored casing looks like aluminum at first glance, but it quickly becomes clear that it is plastic when looking closer. Its weight of 950 grams is considerably more than that of tablets based on ARM or Atom SoCs. However, it is pleasant to hold due to its rounded edges. 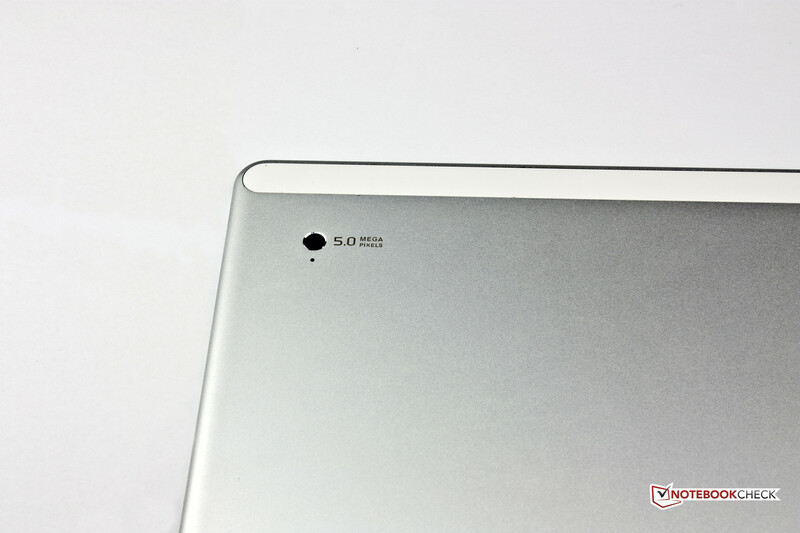 Only 190 grams is added when the tablet is inserted into the Smart-Cover. Nevertheless, its place is sooner on the lap or on a table because it is then considerably more awkward to hold. The front is largely covered by the large 11.6-inch touchscreen. A 17 mm black bezel encloses it and lets the screen appear bigger when turned off. 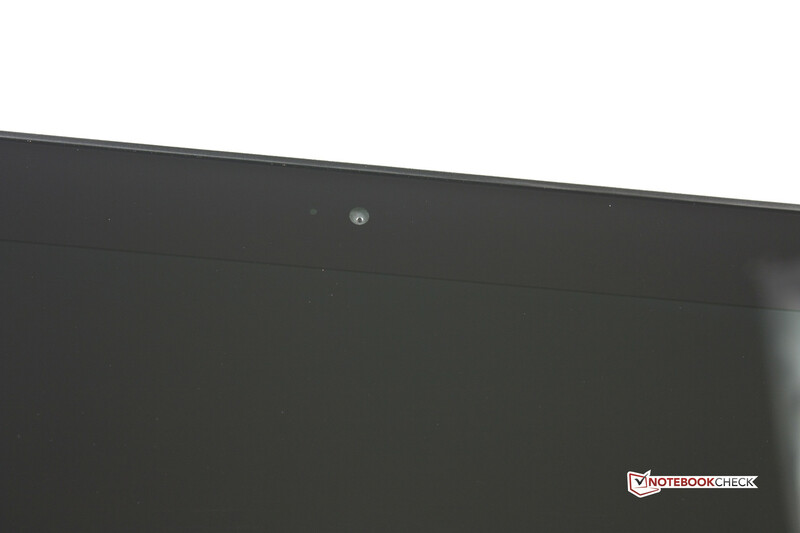 The 1.3 megapixel (MP) webcam and brightness sensor are installed here. This black area is encompassed by the same silver-colored plastic that is used on the back. The overall silver flipside is only interrupted by a thick rubber strip, which conceals the screws for the maintenance cover. There is also a 5 MP camera on the back. Small, submerged LEDs that light up in green are beside both cameras. The casing makes a very robust impression. Nothing creaks and it even remains solid when pressure is applied. Acer was not very meticulous with the gaps. The touchscreen is not accurately inserted into the casing and irregularly juts out on the frame. 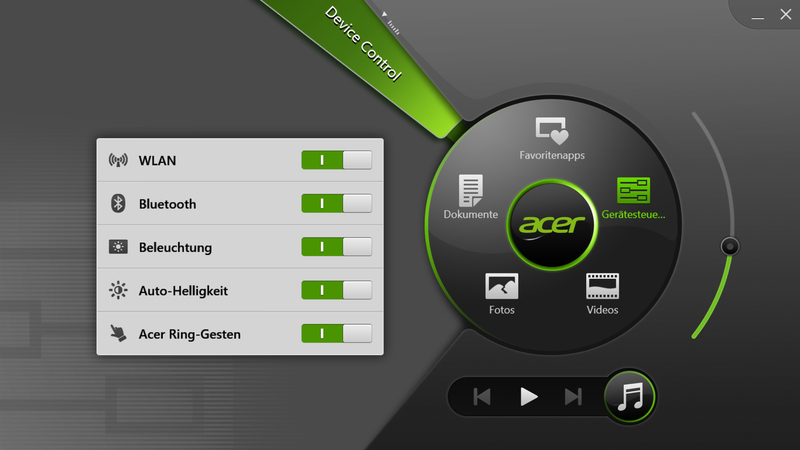 The few interfaces of Acer's Iconia W700 are clearly arranged. 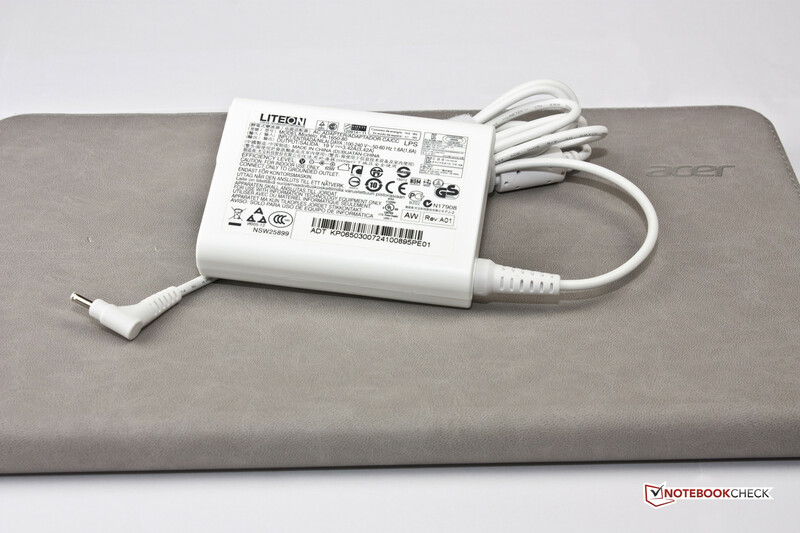 A socket for the included 65 W AC power supply is found on the display's left. A USB 3.0 and micro-HDMI port are installed above that. The opposite side sports a 3.5 mm combo audio jack, the power button and volume rocker. The fan outlets as well as a rotation lock switch are found on the top. It is pleasing that the USB port provides enough voltage for 2.5-inch hard drives. A second USB port and a micro SD/SD card slot would have been nice. 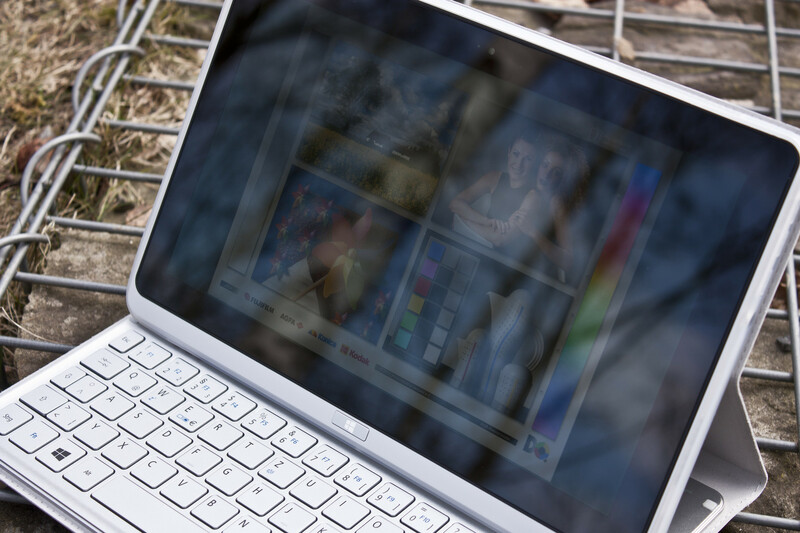 Sony's Vaio Duo 11 SV-D1121X9EB does a better job with that. A matching stylus for the tablet is optionally available. 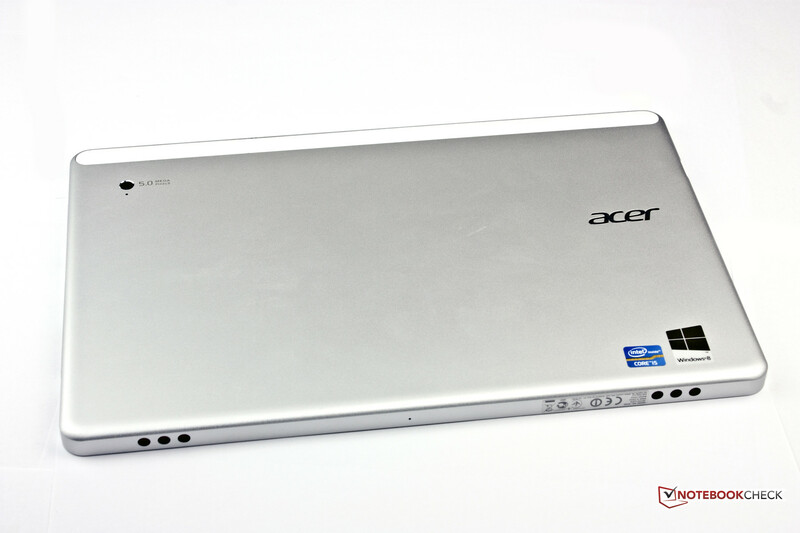 The main wireless communication component in Acer's Iconia W700 comes from Qualcomm in form of the Atheros AR5BMD222. The module supports the common Wi-Fi 802.11 a/b/g/n standards and consequently both the 2.4 and the 5 GHz wavebands. The Wi-Fi module is compelling. Windows still displayed full reception and internet sites opened swiftly in Internet Explorer even through two walls and a distance of approximately 12 meters from the router (Fritz!Box 6360). However, the connection deteriorated quite fast behind a third wall (15 m). Its strength dropped by one bar with every additional meter. However, it was always possible to open a website in a decent speed providing the connection to the router was available. Consequently, the product gave a good presentation. Acer's Iconia W700 also sports Bluetooth +HS. That finishes off the tablet's communication options. There is no LAN port, GPS, NFC (near-field communication) or a docking port. Either a corresponding USB stick or another mobile device that can share its connection, e.g. a smartphone with Wi-Fi tethering, is needed for internet on the go. The front-facing camera can primarily be used for video calls due to its maximum resolution of 1280x960 pixels. It is not suitable for much more. An image noise is evident and the picture is very coarse even in good light conditions. Videos can actually be recorded in 720p with this camera. However, no one would guess that they are high-definition. The 5 MP camera on the rear shoots a maximum of 2592x1944 pixels. It does not have a flash or additional LED light and is not much better than the front-facing camera. The pictures are clearly overexposed and the 1080p video recordings look very pixelated and unfocused. Acer wisely does not provide detailed specifications about the cameras. The installed microphone does not score well either. The voice is slightly distorted and sounds tinny. Sometimes the speaker couldn't be understood at all. This component is also only suitable for video calls to an extent. In addition to the Smart-Cover alongside an integrated Bluetooth keyboard, there is a 65 watt power supply, certified by the Association for Technical Inspection (German TÜV) and GS, from the company LiteOn. 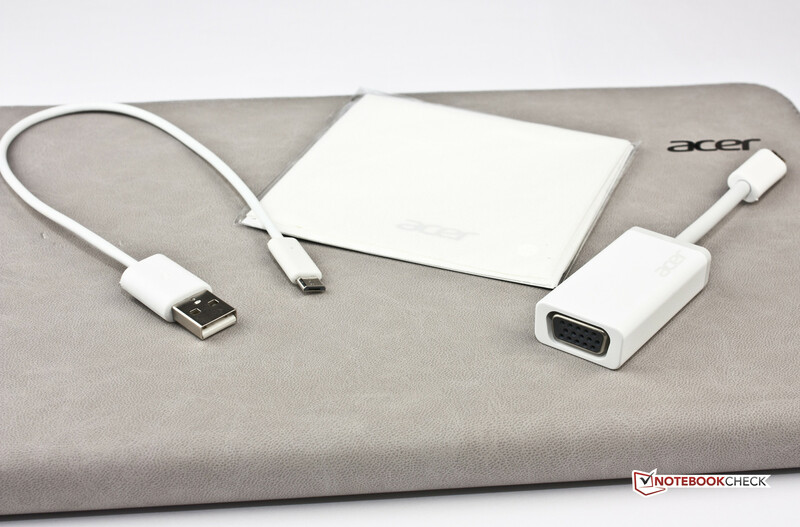 A micro-HDMI to VGA adapter and a charger for the keyboard are also included. The Bluetooth keyboard sports a micro-USB port so that it can be connected directly to the Iconia's USB port with a cord. Besides two multilingual quick start guides, there are four DVDs included. One is a system DVD with Windows 8 64 bit, two are recovery data carriers and one is a disc with the German language package. The advantage of the included DVDs is that only 400 MB is reserved for a recovery partition on the SSD. It could be deleted in order to gain additional storage. However, an external optical drive would be needed should Windows 8 have to be reinstalled. The device can also be used with a stylus. Acer offers two different models in its online shop for a price of 24.95 to 29.95 Euros (~$32 to $39). Acer also offers its customers free storage expansion in the Cloud. Here, the company takes a different approach than the competition. Other Cloud suppliers offer their customers a limited capacity for free and charge a steep price for additionally required storage. The Taiwanese computer manufacturer gives its customers unlimited storage for distributing media and documents evenly. The only restriction is that the data is available for just 30 days and is deleted after that. The service is thus unsuitable as long-term storage. In return, documents that are frequently revised and have to be made accessible on many devices can be shared appropriately. Accessing the Iconia W700's hardware is not easy. The rubber strip has to be removed before the screws for the maintenance cover are accessible. We did not open the tablet since this strip is partly glued. However, it would be possible to install a larger storage device this way. We would like to warn users to be wary of doing this because an alteration of the device may result in loss of warranty. 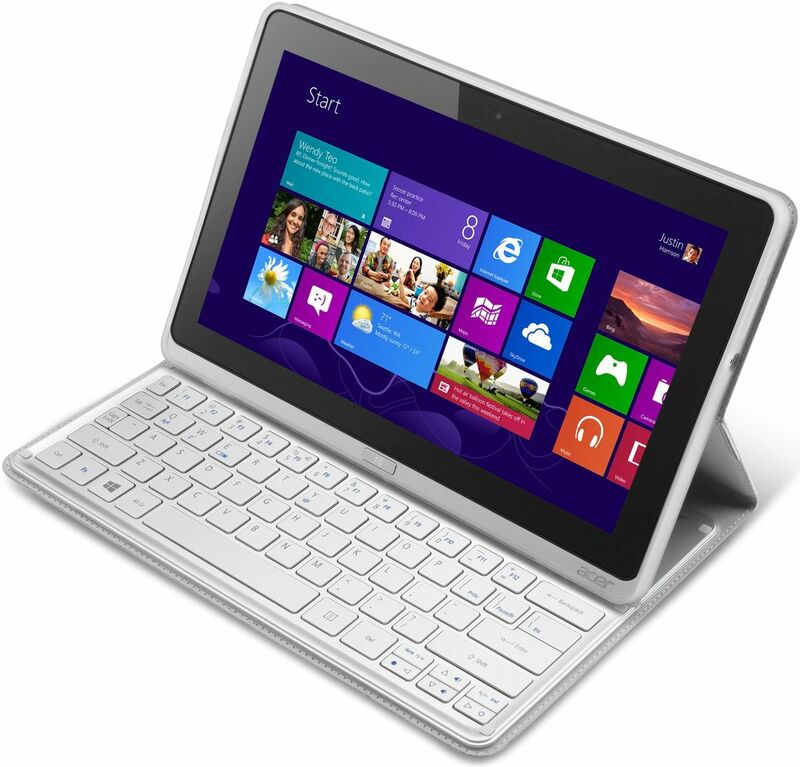 Like most other tablets, the W700 is not very maintenance or upgrade-friendly. Acer includes a one year warranty on the W700 tablet, battery and accessories. The customer has to send the device to one of Acer's qualified workshops (mail-in) in cases of damage. 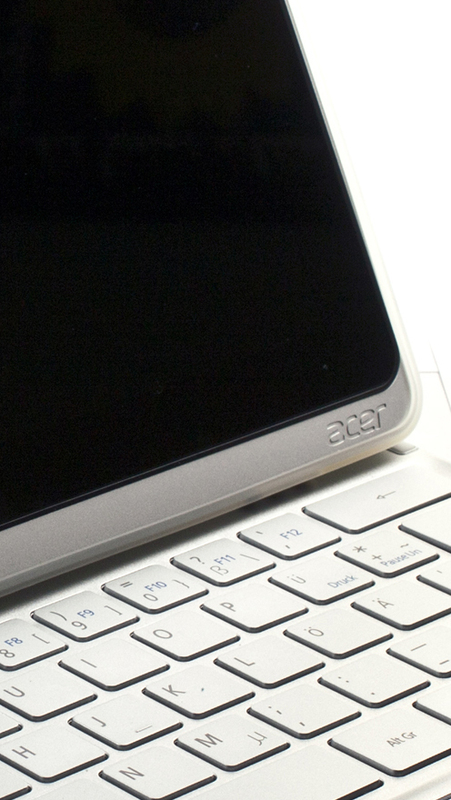 Several warranty upgrades are available via Acer's online shop. They extend the warranty period to three years and cost between 99 and 139 Euros (~$129 and $181) depending on whether an accidental damage or international insurance is wanted. Private customers in some countries also have the two-year manufacturer warranty. 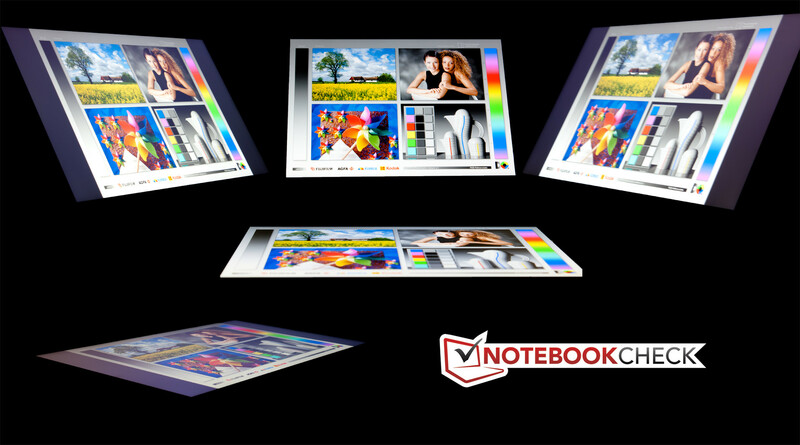 A capacitive touchscreen is used in the tablet for effortless inputting via touch and gestures. The multi-touchscreen identifies up to ten fingers at a time. Acer includes a handy tool that takes advantage of this, namely Acer Ring. Tapping five fingers simultaneously on the screen opens the program that gives fast access to documents, pictures and frequently used apps among other things. It is also possible to quickly and easily switch the communication modules and brightness sensor on and off in device control. 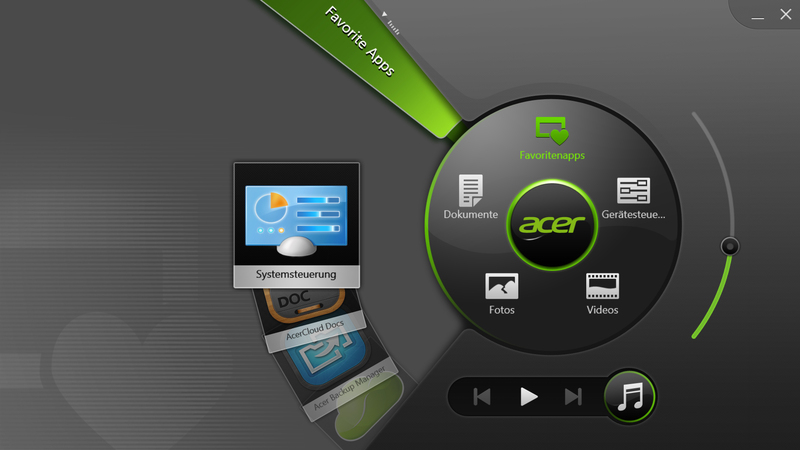 Acer Ring is a sensible input supplement due to its touch-optimized interface. 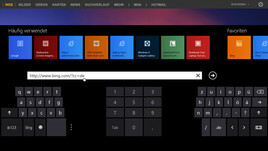 The virtual Windows 8 keyboard is clearly arranged and responds without delay as usual. The large screen also allows implementing correspondingly sized keys and users with bigger fingers will unlikely have problems with it. Shorter texts or chats can be inputted conveniently over the touchscreen. The screen's input accuracy is compelling and allows comfortable finger use on the desktop. 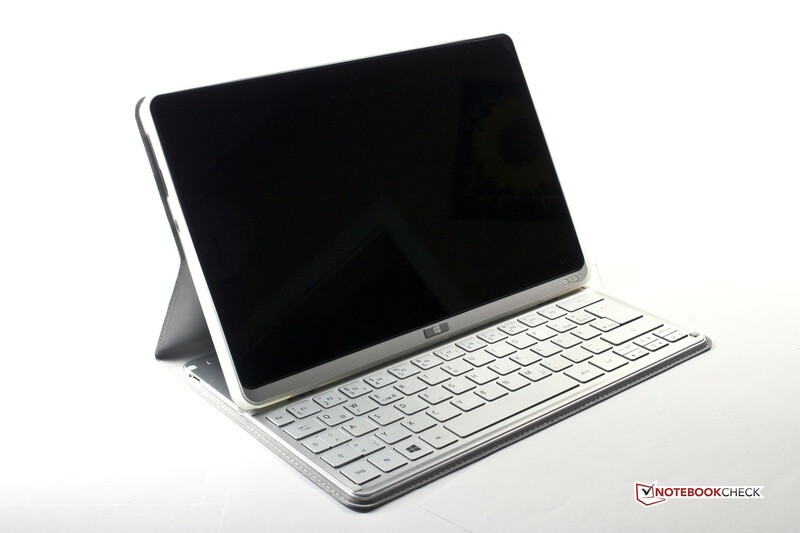 The mechanical QWERTY keyboard implemented in the Smart-Cover is connected to the tablet via Bluetooth and features 68 keys. The main keys have a pleasant edge-length of 15 mm. The keyboard is made in an identical silver-color as the Iconia W700's casing and makes a somewhat cheap impression. However, this is deceiving. It does not make a very robust impression when held, but it features a pleasant feel. The keys are not stiff and respond immediately to the user's inputs. The key drop is agreeably short and produces an audible click noise. The keyboard does not feature a backlight. 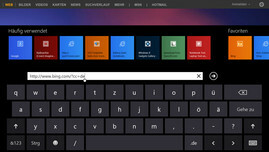 The divided Windows 8 keyboard is handy when the device is held in both hands. The 11.6-inch CineCrystal IPS screen's resolution of 1920x1080 pixels (1080p) results in a pixel density of nearly 190 ppi. The name suggests that the device is particularly suitable for movies. The rate seems low compared with the competition from Apple or Samsung. However, this resolution is lush for a Windows device from this price range. 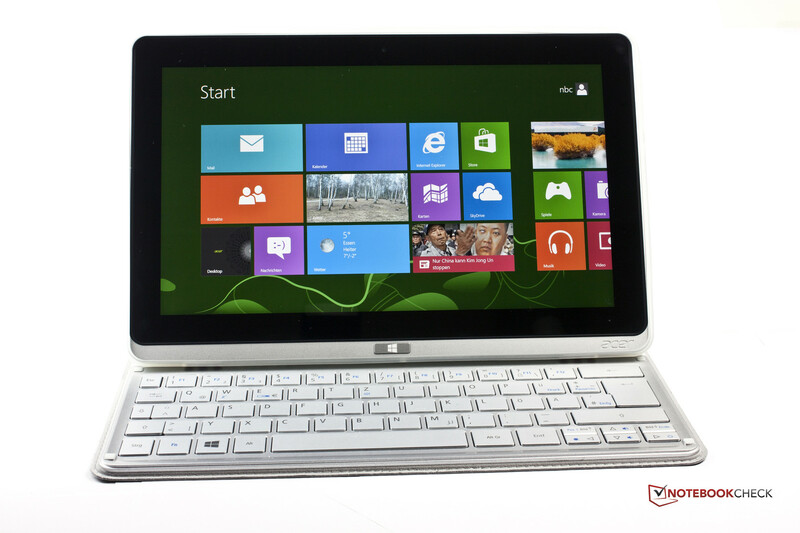 Although it features the same screen resolution, Sony's Vaio Duo 11 costs considerably more. Small lettering, such as product descriptions in the store, is always well-legible. In fact, the glare touchscreen makes a good first impression. The colors look crisp and the viewing angle is great. An in-depth technical examination confirms the first impression. 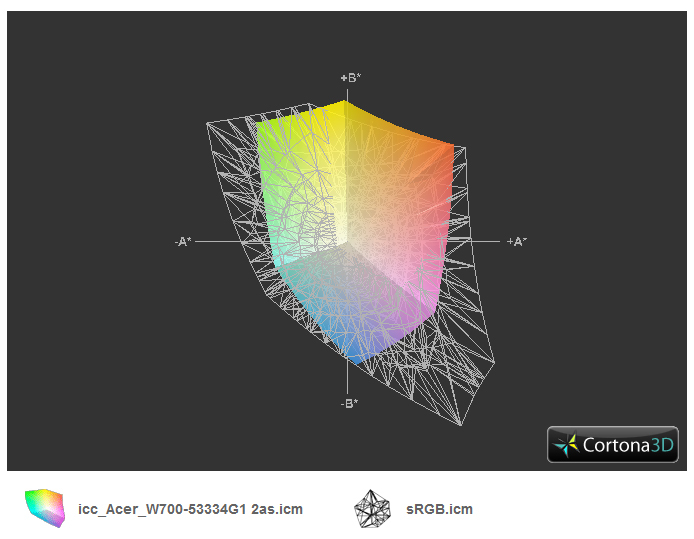 Acer's Iconia W700 delivers a very good contrast rate of 963:1. We ascertained a brightness of 378 cd/m² in the screen's center, which is good but not outstanding. In battery mode, the W700 achieves a maximum of 281 cd/m² when light shines on the light sensor that controls the screen's brightness. This is a rather disappointing rate. 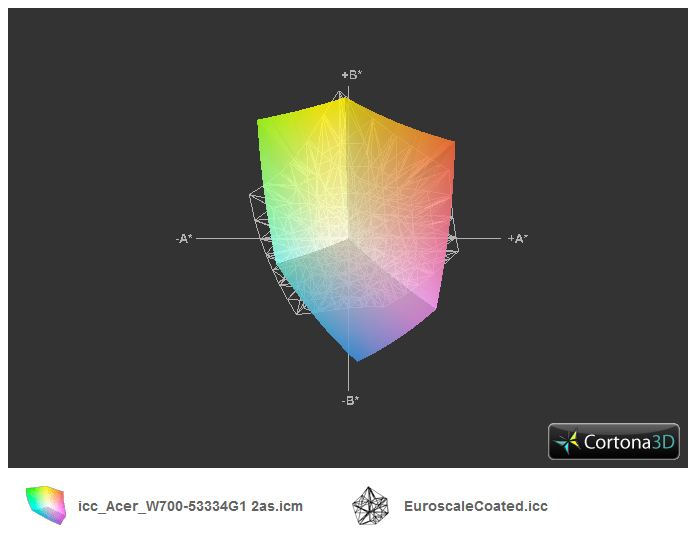 The ascertained white levels offer an average of 6529 K in terms of color temperature. This comes very close to the ideal of 6500 K.
The gray values also remain within a good range. The rate of 5.0 at a brightness of 90% was the biggest outlier. The average gamma rate of 2.3 is acceptable and does not show any bigger outliers. As to color accuracy, the screen shows weaknesses in blue and magenta, which then look like lilac. The blue DeltaE almost reaches 30. It is again these two colors that stand out adversely in color saturation. The screen's low brightness is noticed in outdoor use. Reflections become distracting in slightly cloudy conditions and reading texts strains the eyes. Outdoor use is well possible when the tablet is held directly in front of the user and the reflections are reduced to a minimum. The screen's high contrast sufficiently compensates for the low brightness in this case. 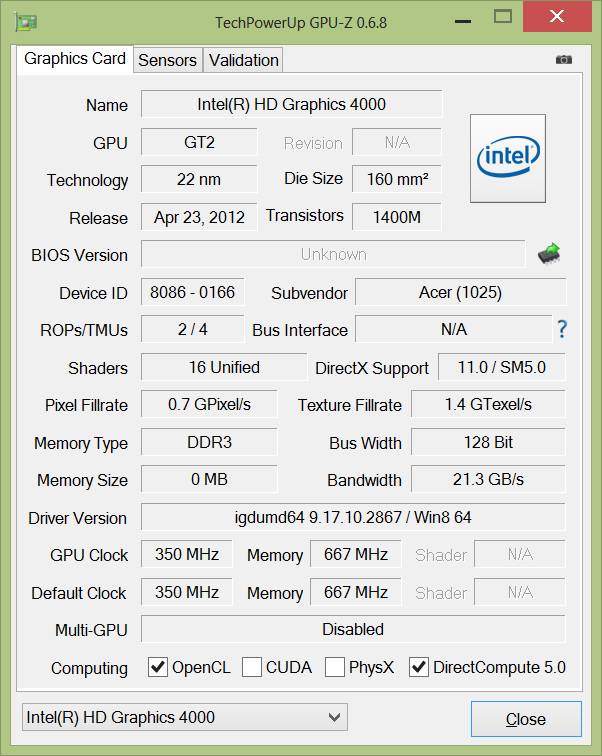 Acer's Iconia W700 sports Intel's Core i5-3337U. These dual-core processors are frequently installed in ultrabooks, e.g. Dell's XPS 13 L322X or Sony's Vaio SV-T1511M1E/S, due to their relatively low power consumption. All devices are powered by the same i5 dual-core processor. The 22 nm Ivy Bridge ULV CPU with a TDP of 17 watts only consumes half as much energy as standard processors. The ULV i5 CPU has a 3072 KB L3 cache, four threads and a theoretical Boost of up to 2700 MHz. It runs with a base clock of 1800 MHz and an idle clock of nearly 800 MHz in energy savings mode. The tablet also features a 4 GB dual-channel DDR3 RAM. The processor is rated by rendering a three-dimensional picture via Cinebench. Here, Intel's Core i5-3337U in the Iconia W700 achieved a lower score than in other devices using the same processor model. It lagged behind expectations with 2.18 points in Cinebench R11.5. 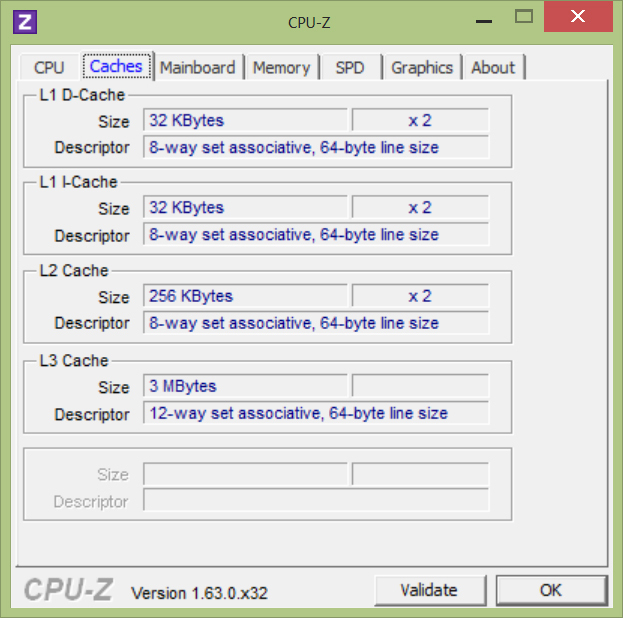 The same processors achieve a score of 2.4 in this benchmark. The other CPU benchmarks confirm this. Consequently it is in the range of Intel's Core i3-2310M. As will be seen in the stress test and elsewhere, this poor score is due to CPU throttling. Despite its limited computing power, the Iconia W700 exhibits a surprisingly good application performance even compared with systems based on stronger processors. This is especially due to the SSD. However, the ascertained PCMark 7 (2011) score clearly lags behind identically equipped contenders. Sony's Vaio Duo 11 accomplishes almost 500 points more than the Acer here despite virtually identical hardware equipment. Possible reasons could be that the Iconia's Turbo is not maxed out and the SSD's much lower 4K rates. The system's subjective speed is nevertheless very good. We did not notice any stutters and both apps as well as applications are loaded quickly. A solid state drive (SSD) from Toshiba dubbed THNSNS128GMCP is installed in the Iconia. The drive is connected via a 6 Gbit SATA controller and offers a nominal capacity of 128 GB for data. 89 GB was available after initial booting. This does not seem like much at first, but the unneeded, preinstalled software can be deleted seeing that it is on a DVD when required. Windows 8 needs a partition of 18.5 GB. 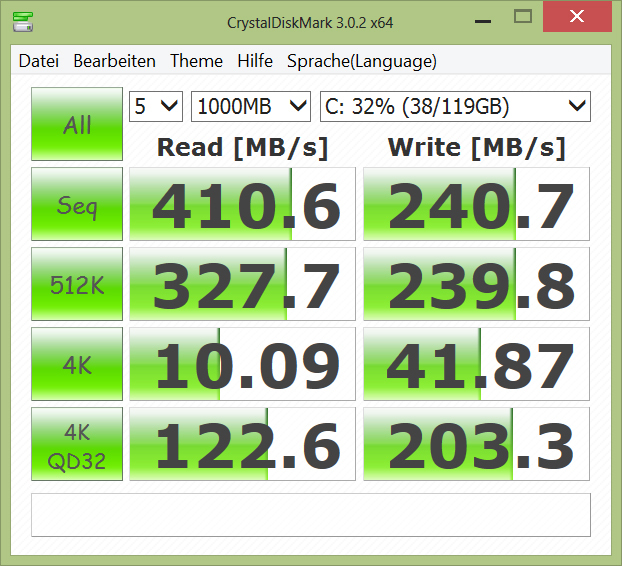 The same SSD is installed in Sony's Vaio Duo 11 and the transfer rates are virtually identical. 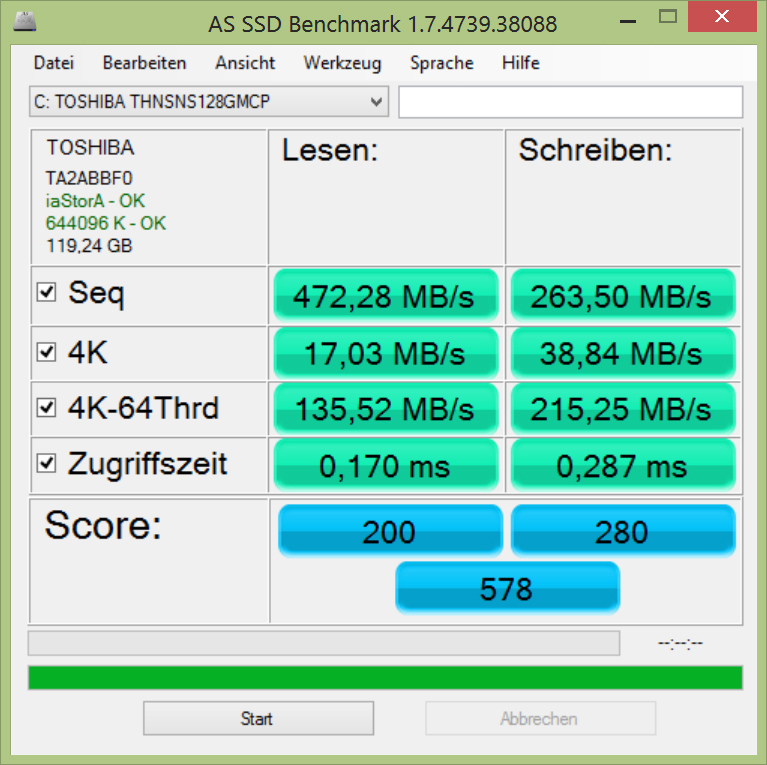 A comparison with the 64 GB SSD in Samsung's Series 7 tablet looks different. 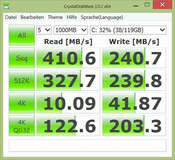 It is only half as fast in sequential read and write, and is a bit lower in 4K-64 write with 35.67 MB/s. 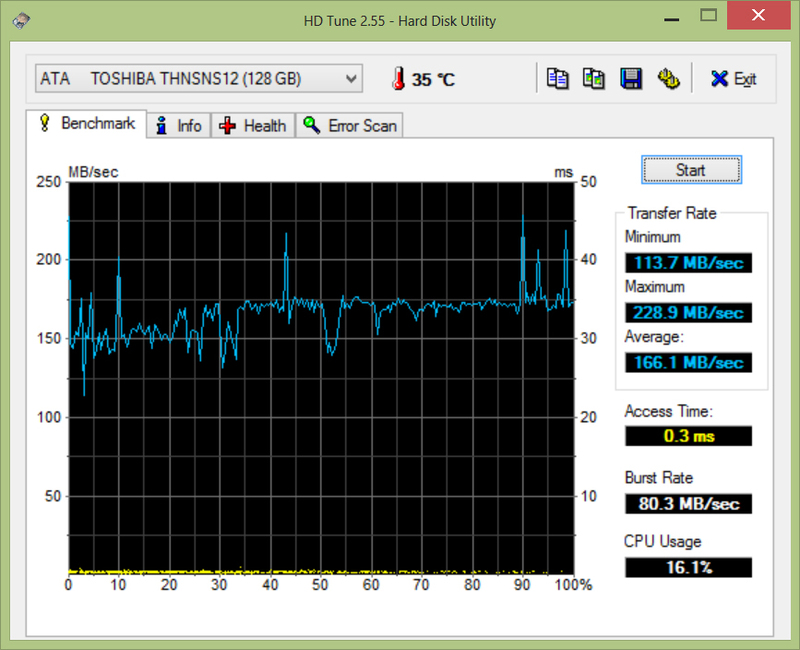 Toshiba's SSD is swift and the system reflects this subjectively. Acer therefore rightfully claims a super-fast system and the tablet's touted wake-up time of 1.5 seconds is realistic. 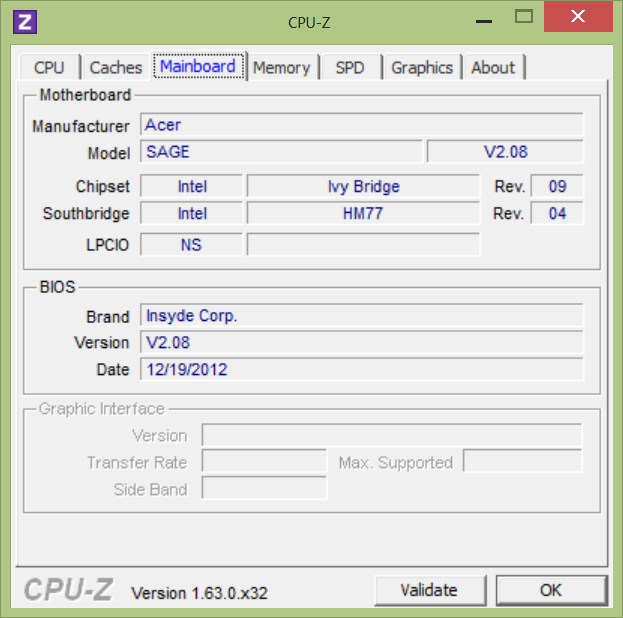 The processor-integrated Intel HD Graphics 4000 is used. It was not designed for graphically sophisticated applications. However, it certainly has enough power for internet surfing, office applications and Full HD video playback. Up-to-date games should not be played because the HD 4000 quickly finds its limits. 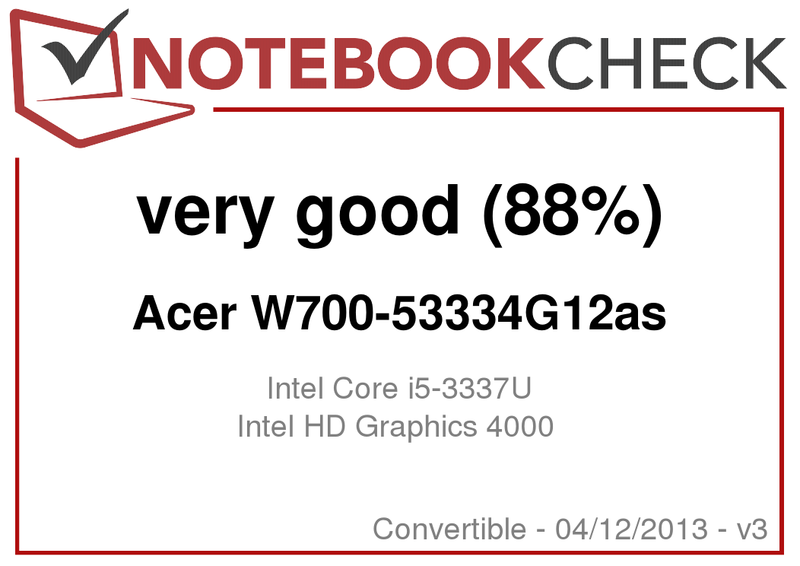 Acer's Iconia W700 places itself in an inferior position to comparable devices here. Samsung's Series 7 XE700T1A-H01DE tablet is almost outclassed, but it features an older Intel HD 3000. The Iconia achieved a lower score than Sony's Vaio Duo 11 that also uses the Intel HD 4000. The ascertained 3DMark06 score of 3682 points is approximately 25% lower than that of the Duo 11. This gap is even bigger in the 3DMark Vantage (GPU) graphics benchmark. 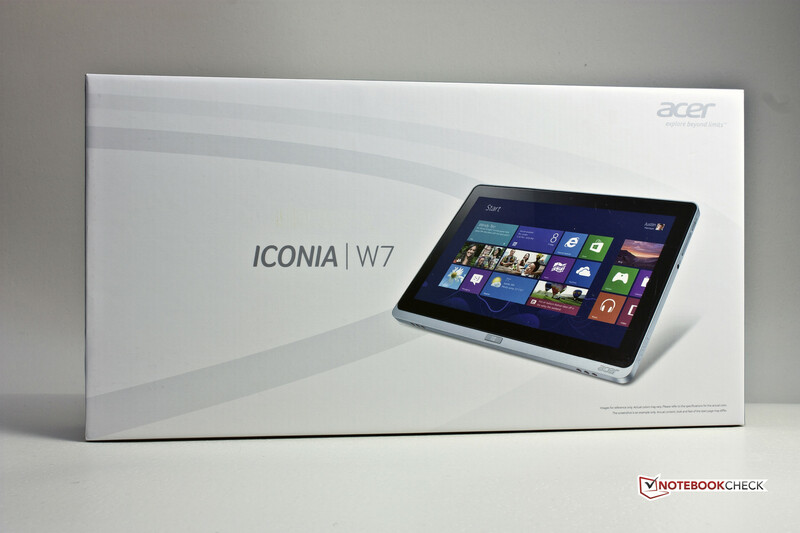 The Vaio Duo achieved 708 points more so that the Iconia W700 can only offer 71% of the power of Sony's contender. The reason for this quickly becomes obvious in the graphics card stress test. The HD 4000 skyrockets to 1100 MHz at the launch of FurMark only to drop to a clock rate of 850 to 900 MHz relatively soon afterwards. This did not change in battery mode either. The clock remained unchanged but the CPU is throttled to 900 MHz. Acer clearly sets priorities on economic power management and not on performance. We tested the gaming performance using Starcraft 2: Wings of Liberty among other games. The game is not the latest member of its genre and is thus predestined for demonstrating the integrated graphics solution's limits. Starcraft still proved to be well-playable in an additional test using minimum details and 1080p. A cross-platform graphics performance comparison is possible using the DX benchmark. This is particularly an advantage for directly comparing the single systems. This illustrates that the relatively weak graphics chip for x86 systems installed in Acer's Iconia W700 tablet can clearly outperform premium tablets from Apple and Google. ARM tablets quickly let us presume that tablets must be silent. However, the power of a Windows tablet is considerably higher. The warm air that is primarily produced by the processor has to be appropriately discharged out of the casing. The fan does not run permanently in idle and is barely audible when it spins. The tablet also does a very good job during load. We measured a maximum noise of 37.4 dB(A) at a distance of 15 cm away from the device's front even after a longer period of full load via FurMark. 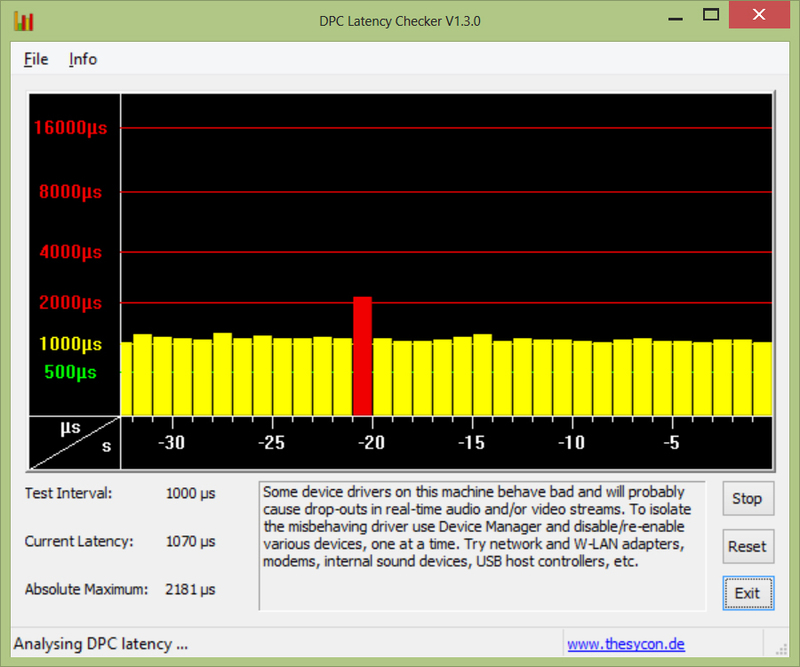 Sony's Vaio Duo 11 reaches 39.9 dB(A) under the same circumstances. Samsung's Series 7 tablet proves that even less noise is possible. It only produces a noise of 34.7 dB(A). The temperature development in a device of this size should not be neglected. While the idle temperatures climbed to at most 30 °C, which is absolutely acceptable, the user will have to take care when sitting on the couch in the summer with the tablet on the lap. The temperatures can climb up to 41.2 °C in the Smart-Cover. This temperature can get unpleasant on the lap. The cooling was put through its paces during our two hour stress test. The system would shut down if it were not able to deal with the associated heat development. But this is not the case. The CPU's temperature never surpassed 70 °C. However, the good cooling system was regrettably not the main reason for this, it was because of distinct throttling. 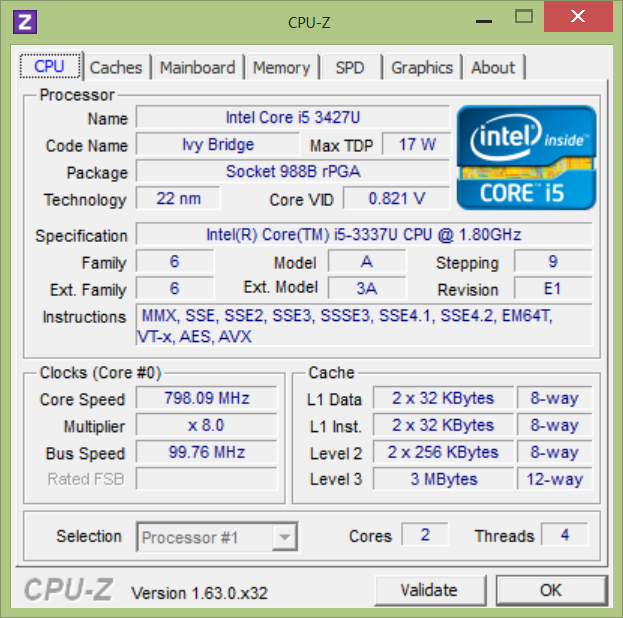 The Core i5-3337U's default clock is 1.8 GHz. The CPU clock briefly climbed to approximately 2 GHz when we started Prime95. The clock rates of the single cores nosedived to just below 1.4 GHz when we added FurMark. 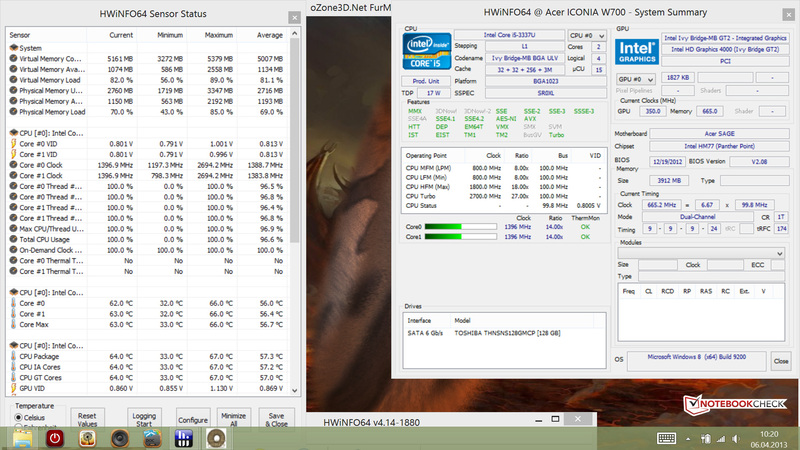 It ranged stably between 1.3 and 1.4 GHz for the entire test period. The Boost never came close to being maxed out at any time during the stress test. Throttling was only marginal in a CPU-only stress test. 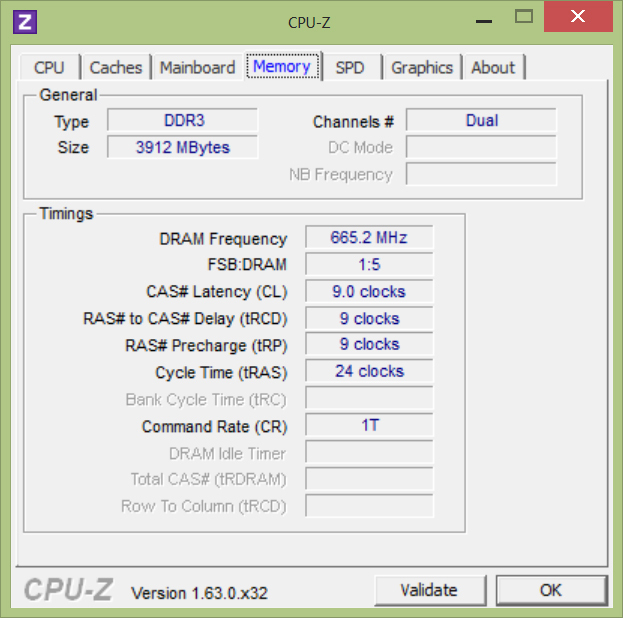 The clock rate of single cores remained above 1.7 GHz. This reduced CPU performance during load explains the comparatively poor benchmark rates. We did not ascertain throttling in the comparable Sony Vaio Duo 11. However, it was an issue for the Samsung tablet and the Korean's surface temperatures climbed much higher despite throttling. (±) The average temperature for the upper side under maximal load is 36.2 °C / 97 F, compared to the average of 30.3 °C / 87 F for the devices in the class Convertible. (+) The maximum temperature on the upper side is 39.6 °C / 103 F, compared to the average of 35.4 °C / 96 F, ranging from 21.8 to 55.7 °C for the class Convertible. Acer touts its product featuring Dolby Home Theater v4 Technology, which is to ensure a particularly good sound. Two stereo speakers located on the bottom are the basis for this. The sound actually surprises with clear and rich acoustics. Bass is not audible, but that is no wonder considering the lack of a sound box. Both speakers are compelling even at full volume. Only their positioning is not always ideal. The speakers could be covered when the tablet is placed on the lap and the sound is muted. However, they are always audible. The use of an SSD alongside an ultra-low voltage processor (ULV) with integrated graphics unit enables low power consumption. 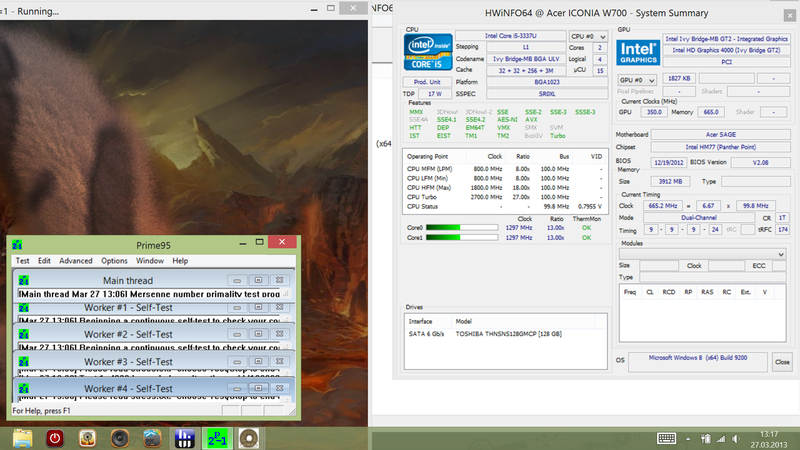 Acer does a really good job and the Iconia only consumes 5.6 to 7.4 watts when idling. The power hunger climbs up to 28.2 watts during load. In contrast to that, the Vaio Duo 11 is a real power guzzler with a maximum power consumption of 40.5 watts. The W700 can even prevail over the energy-efficient Samsung XE700T1A. This is a clear advantage that is related to the CPU's throttling. The consumption rates could only be improved in stand-by and power-off state. The IPS screen's viewing angle stability is perfect. 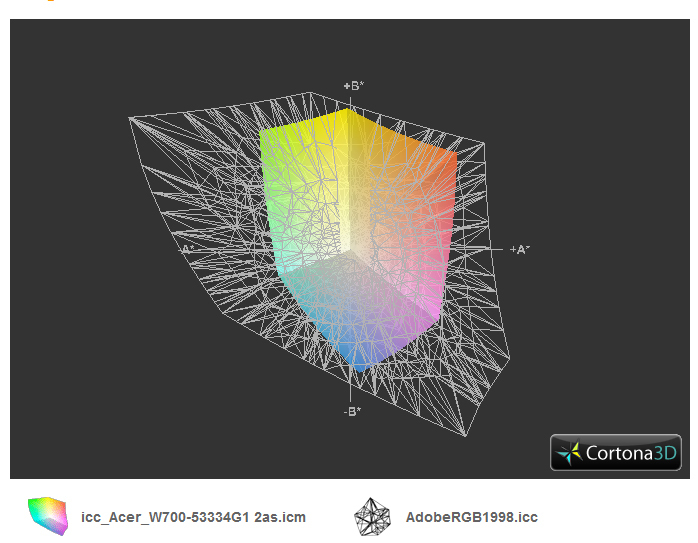 The viewing angle of 178 degrees touted by Acer is easily achieved. Color deviations are barely visible even in viewing angles beyond 45 degrees. The only thing that gets distracting in these situations is the glossy screen. Using the tablet with several people is no problem. 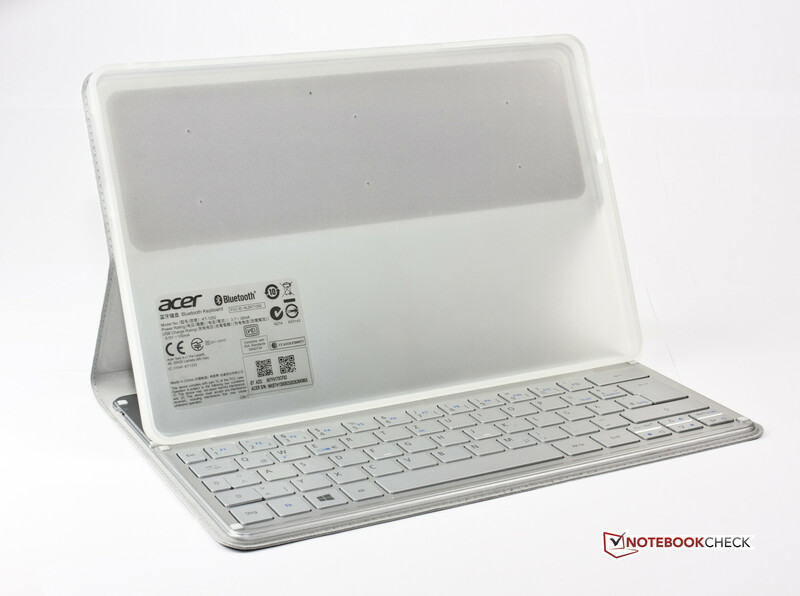 Acer's i5 tablet sports a strong, triple-cell, 55.5 watt hour (4850 mAh) lithium-polymer battery. The manufacturer states a runtime of up to eight hours, which is realistic. We ascertained the battery runtimes in different situations with Battery Eater. The minimum runtime was measured in Classic mode using maximum screen brightness and enabled communication modules. The W700 accomplished an impressive three hours and eight minutes and clearly outperforms the competition. Sony's Vaio Duo 11 and Samsung's XE700T1A do not even come close to two hours. This good impression is continued in the Wi-Fi test. The screen brightness is set to 150 cd/m² and a script is run in Internet Explorer 10 to simulate internet browsing. The Iconia also surpasses its contenders with a good six and a half hours. We naturally also wanted to determine the maximum runtime and used Battery Eater's Reader's test for this. The touchscreen's brightness was reduced to the minimum and Wi-Fi was disabled for this. The W700 clearly outperforms both the Duo 11 and XE700T1A by roughly four hours with a remarkable eleven hours and eight minutes. An excellent time. The battery is fully recharged within 3:22 hours and has reached approximately 80% after only two hours. 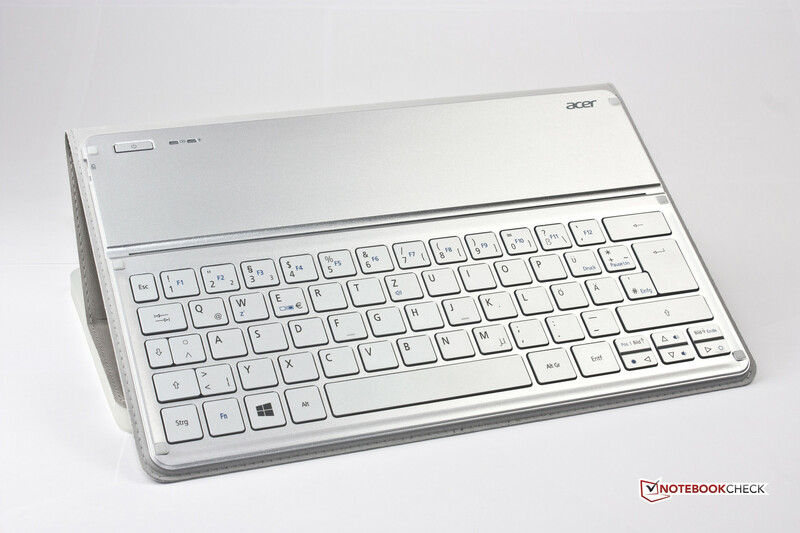 Acer's Iconia W700-53334G12as is a well-designed piece of technology that is fairly light despite a screen size of 11.6-inches. This portability bonus is boosted by the outstanding battery runtimes. The device places itself in the mid-range of ultra-mobile computers with its hardware and clearly undercuts the price of strong competitors like Sony. The less expensive Samsung with hardware based on Sandy Bridge has had its day. The manufacturer does not make any major blunders with the touchscreen either. The viewing angle stable Full HD IPS screen is compelling and lives up to its claim of being particularly suitable for movies. 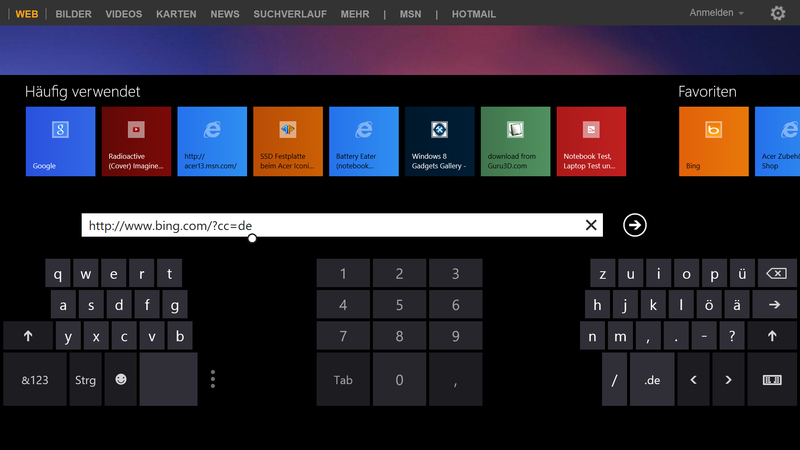 Using the modern Windows 8 UI is also fun. Only the Windows Store's scarce supply slightly ruins both the pleasure and tablet feeling that big ARM competitors radiate. The middling build and few interface options particularly prevent a better rating. 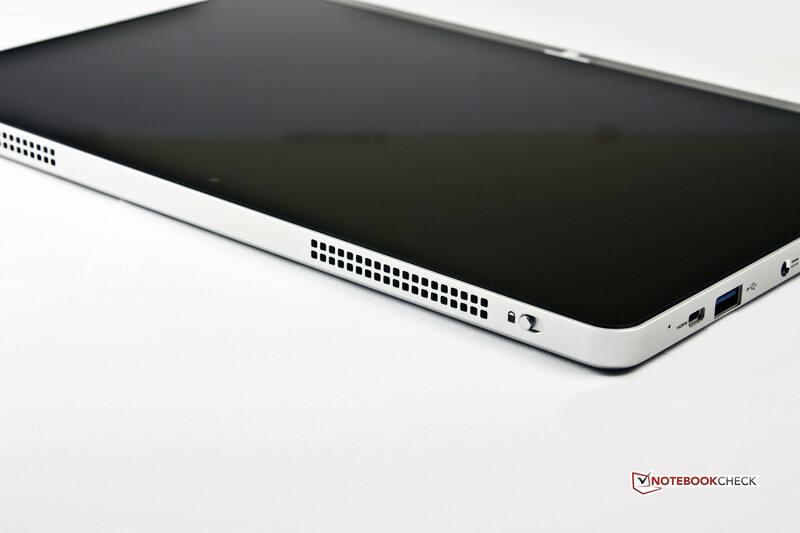 An optional docking station may have made the tablet also interesting for business customers. The cameras are at most suitable for video calls; they should not be used for taking snapshots. The price is still rigidly adhered to the manufacturer's RRP. 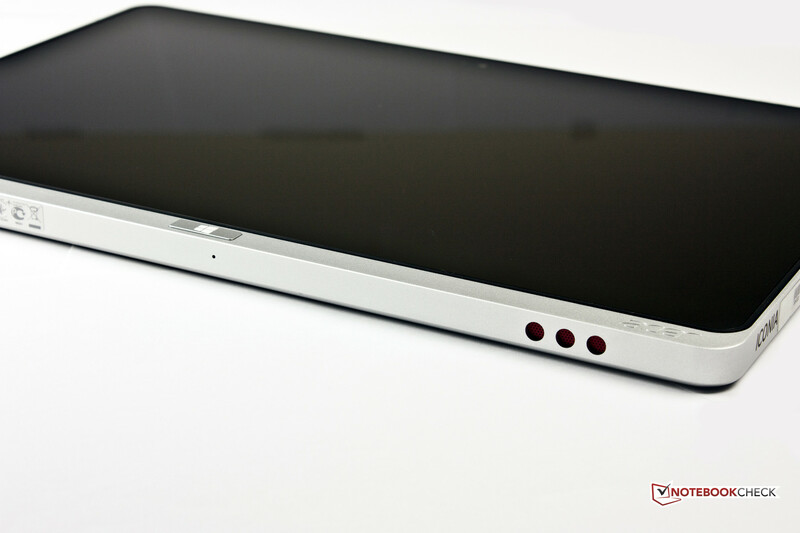 However, a new price design will likely be announced with the release of Microsoft's Surface Pro at the latest. Nevertheless, Acer offers a good Windows alternative to iOS and Android systems with the W700. Users who want their familiar Windows environment but do not want a laptop could find a good alternative in this product. Left: Micro-HDMI, USB 3.0 and power socket. 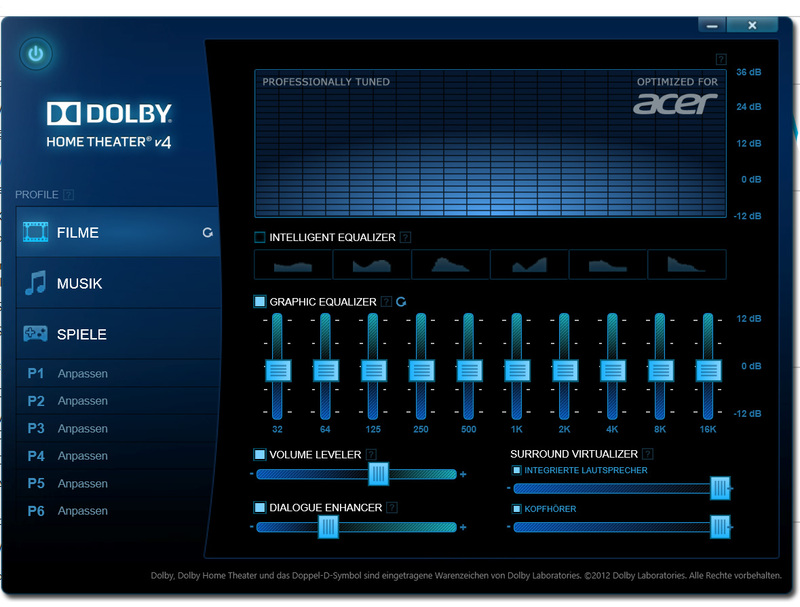 Dolby Home Theater v4 is included. Top: Vent and the handy screen-lock. 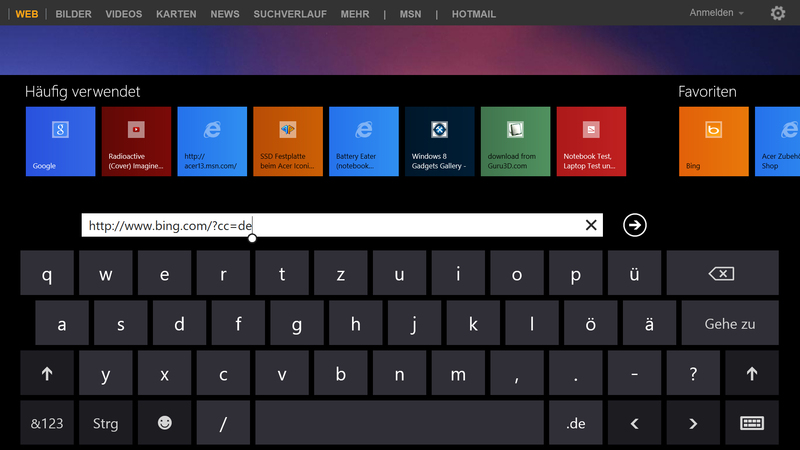 The Windows key is fairly stiff; the microphone is located below it. The 65 watt power supply unit. 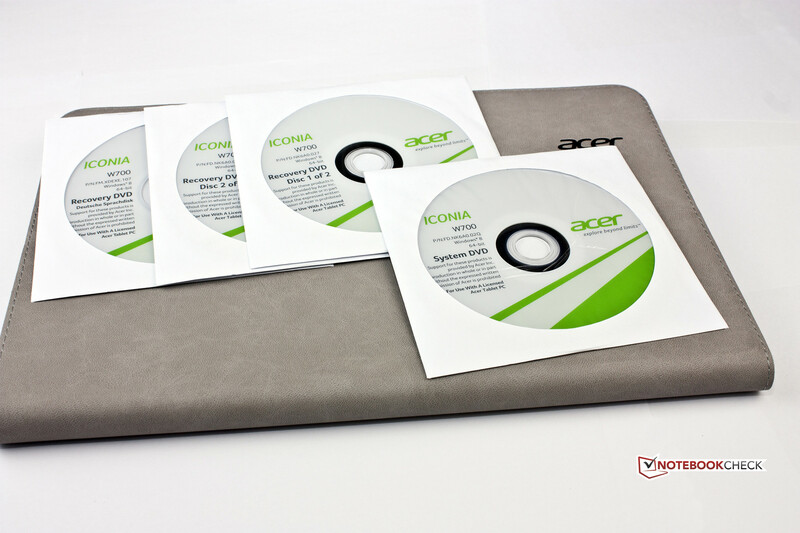 Acer includes many data carriers, including a Windows 8 system DVD. This saves storage on the SSD. Setting options for Dolby Home Theater v4. Right: Power button, volume rocker and headphone/microphone combo jack. The Smart-Cover without the tablet. 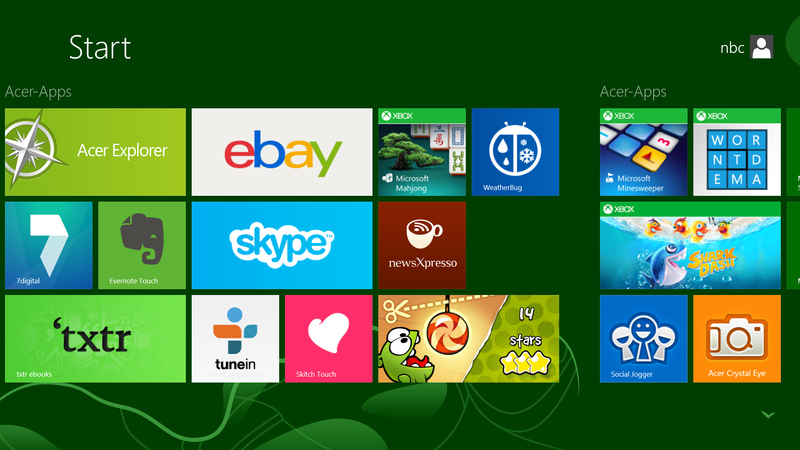 Preinstalled apps by Acer (part 1). 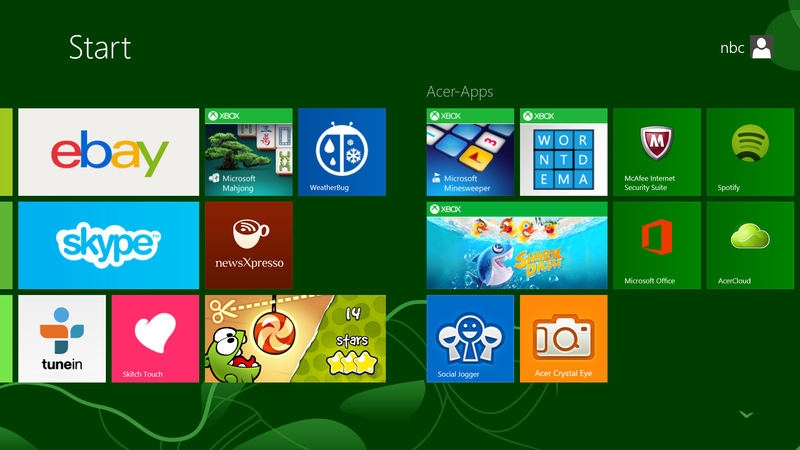 Preinstalled apps by Acer (part 2). Flipside: The rubber strip that covers the maintenance access can be seen well at the top. The 5 megapixel camera with status LED. Core i5 and Windows 8 are on board. The brightness sensor at the right edge. 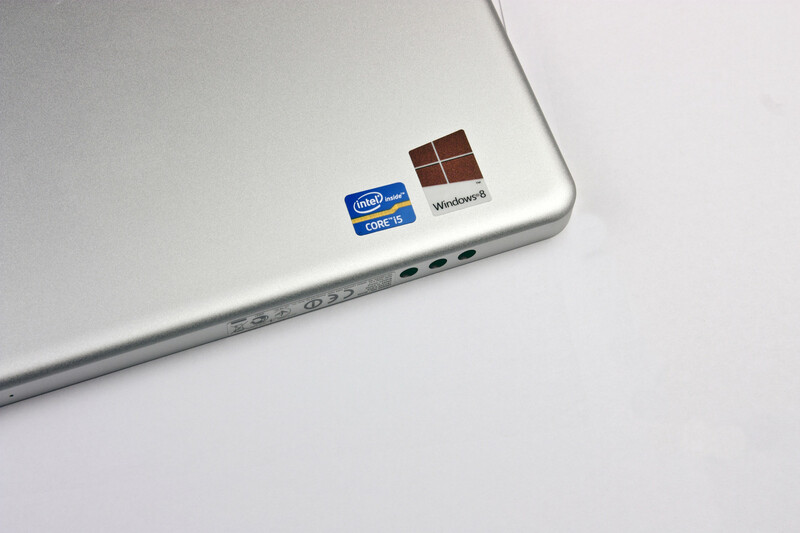 The W700 in the Smart-Cover. A Bluetooth keyboard is integrated in the Smart-Cover. The really good touchscreen alongside its crisp colors and great viewing angles. A second USB port should have been a must. We didn't expect a tablet based on Core i with such a long runtime.